Yesterday, while dancing away in the kitchen to Prince’s “1999,” I was suddenly cleaning my childhood home with my mom. Dancing, spinning and singing at the top of our lungs as we dusted and mopped. Prince, his tight pants and high voice, will forever be synonymous with my mother. Driving to the coast last week, “In Your Room” by Depeche Mode came on the radio and I had an instant picture of my 16-year-old self. I’m alone, crying in my bedroom, playing that song on repeat and thinking I’d never find true love. Whenever I hear David Bowie’s voice anywhere, even shopping at the grocery store, I picture him as the Goblin King in “Labyrinth” and I’m suddenly a young girl again. I can feel a surge of hope, as strong as ever, that somewhere out there is a mythical lover waiting for me, busy creating a world for the two of us alone. Bowie brings out the melodramatic romantic in me. There is a soundtrack to life. A musical memory to accompany all the events, people and emotions that have combined to create the person we are right this minute. It feels like magic to me. Music, like water and air for my soul, is something I can’t live without. Whenever strong emotions threaten to break me, I need to find music to match my mood and reflect back what I am feeling. Johnny Cash is for the blues, obviously. There is nothing like the Man in Black when you want to wallow. Nahko and Medicine for the People are for when I’m feeling hopeless, picking me up when I think I can’t take it anymore. I love Emily Kinney for when I want to feel youthful and optimistic. Beastie Boys, Tori Amos, Imagine Dragons, Pixies, Queen. They all have a role to play in my emotional rolodex of music. For over a decade, there is one CD I have to hear at least once a week. It fits a variety of my moods, but is particularly good for when I just want to sing and be happy. This week I pulled it out again and was singing along when it occurred to me, I have no idea who the singer is. This voice I have grown to love and cherish is a complete mystery. As a former journalist, I’m shocked at myself. I suddenly had to know what he looked like. I had a million questions. Is he still touring? What other music of his am I missing out on? How old is he? Where does this album fit with his other music? Where did he grow up? What are his musical influences? In tiny writing under the eye, I find a name. Excited, I type his name into Google and within a matter of minutes I have all the answers. I also have a broken heart. This beautiful singer, whose voice I adore, whose lyrics I have sung a thousand times, died of testicular cancer is 2000. He has been gone for 15 years. I spend the next few hours looking at pictures of his young face, listening to other music he created before he died, reading online interviews, watching videos and tributes. I discover his mother, a playwright named Marilyn Felt, created an entire musical fable based on his life and his music called “Lightsong.” You can download it for free. It’s one of the most beautiful things I’ve ever heard. 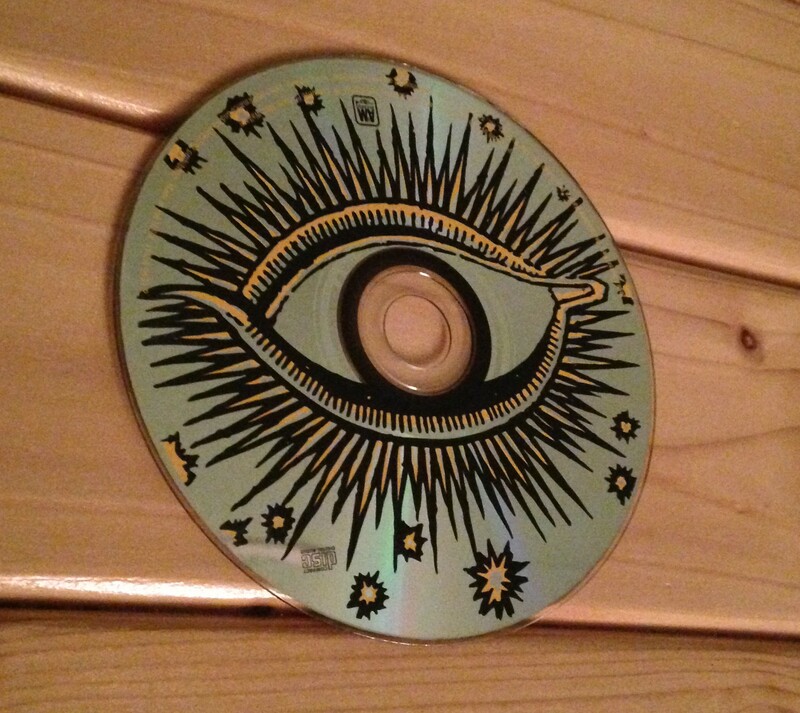 While my heart is heavy at this loss, fresh and new to me, I’m also filled with gratitude for having stumbled upon “the eye” so many years ago. His words are a part of my soundtrack and part of who I am. Now I have a little more of him to carry me through. This entry was tagged Cancer, CD, Emotions, Eye, Josh Clayton-Felt, Lightsong, Memory, Music, Tribute. Bookmark the permalink. I’m Josh’s sister Laura. Somehow my stepfather came across this incredibly beautiful post of yours. It means so much to me and the rest of the family that Josh’s music has reached you, and been important to you. We’re always hoping that his music will continue to move out into the world. Thank you for sharing it. It’s been two and a half years since you wrote, but I see you’re still writing and I hope you’re still enjoying Josh’s music. Thank you for your kind words. I continue to listen to that CD several times a week and still love it. I’ve recently been listening to “Spirit Touches Ground” as well. Such talent! Thanks for reaching out to me. Both of my children are musicians and hear his music often. I hope they find inspiration from him as they get older.